1. Prayer. It is hard to know our own hearts and motives. We must remain continually in prayer, asking God to expose what is really happening inside our lives and ministries. 2. Study the example of the Lord Jesus Christ. He is the perfect Model of true leadership at all points. 3. Humility. The great antidote for abusive leadership is 1 Corinthians 3:7. 4. Commitment. The godly leader must be committed to God, to his followers, and to inward reality in his own life. Especially during decision-making, he must remain unfailingly committed to truth, not allowing himself to be influenced by expediency, convenience or selfishness. The Holy Spirit will help us do this (Rom. 8:13). 5. Awareness. The Christian leader must develop the ability to distinguish between personal issues and an organizationally-based vision in his beliefs and actions. He must be acutely aware of his own vested interests at all times and strive to crucify them if they are not consistent with the interests of the people he says he is serving. 6. Responsibility. The healthy leader will spend significant time and effort in assisting his followers’ development separate from his personal mission. In truth, the Christian mission is people-development (ultimately to the glory of God and the fulfillment of His will, of course). 7. Self-evaluation. The leader should accurately and honestly assess his own contributions to both successful and unsuccessful outcomes – rather than merely blaming others. Even good leaders may tend to avoid looking at their own contribution to poor performance. Moreover, the godly leader should address follower discomfort and poor performance that are often signals for his own need of self-reevaluation – particularly in the area of communication. 8. Continual prayer, reflection and heart breaking before the Lord. God will keep us honest and pure. The leader must conscientiously seek to catch himself any time he is tempted to take advantage of his role and power. 9. Genuine accountability. Abusive leaders will often happily submit to those who they know share their views. In contrast, servant leaders will seek out balanced and honest counselors who are not afraid to disagree and to hold them genuinely accountable. So, what specific changes do you need to make in your life and ministry? And what specific commitments can you make that will help you bring these changes to pass? 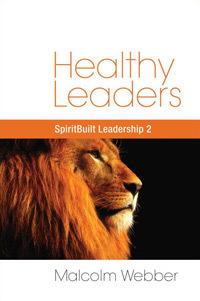 Our next Letter will begin a new subject in healthy Christian leadership.